How Can People with OCD Or Germ Phobias React to This Shocking Information? 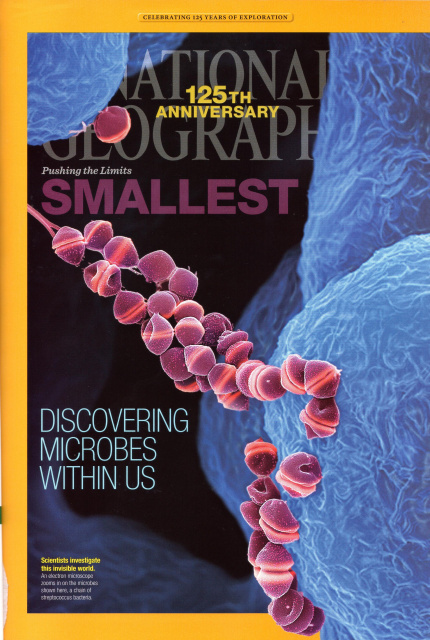 Whether you call yourself a mysophobic, germaphobic, microphobic (Wikipedia.org lists them all), or simply OCD; you’re going to have a reaction to the information in the January 2013 National Geographic. Here’s a way to help you process this information in a safe and natural way that will optimize your physical health and possibly your emotional health as well. The article starts: “When we inhale, our nostrils capture…a teeming community of bacteria and viruses. A few types may trigger allergies or asthma. Far more rare are inhaled pathogens that are themselves the agents of diseases, such as SARS, tuberculosis, and influenza.” But, the article continues, you can“…breathe easy: Most of the microbes in the air do us little or no harm, and some almost certainly do us good. The truth is, we still understand precious little about them”(Nathan Wolfe “Small Small World: They’re invisible. They’re everywhere. And they rule.” National Geographic. January 2013. p. 138). The article goes on to describe an enormous ecosystem residing inside our bodies whether we like it or not. The mass weight of all these microbes weighs more than our brain (about 3 pounds in the average adult). We don’t want to keep them out or destroy them because we would die. In fact, when we tamper with this natural ecosystem we risk all kinds of health catastrophes. They help in digestion, nutrient absorption, vitamin creation, anti-inflammatory protection, and immune protection. They keep our skin from cracking, the bad bacteria from taking over, and allergies from developing. They help regulate our weight and keep our intestinal walls clean, healthy and protected. Dealing with the invisible bad critters in our ecosystem is like controlling some dangerous predator in the forest ecosystem. To destroy one dangerous species allows another to take over and cause havoc. For example the Staphylococcus aureus or(S. aureus) is typically a harmless bacterium if it is kept under control in a healthy body by other bacteria. About a third of us have it in our nostrils. But it can turn deadly if it’s allowed to run wild. When it moves into other parts of the body like the skin, it can be as simple as a pimple but as dangerous as a life-threatening infection such as a flesh-eating disease, or it can create toxic shock syndrome. What makes microscopic predators so dangerous is their resistance to antibiotics that we’ve taken from prescriptions but more importantly from the antibiotics in our food and water from fattening animals to bring them to market early. One of the reasons people choose organic meats and dairy is to get away from too many unnecessary antibiotics. Helpful, life-sustaining microbes get caught in the crossfire between antibiotics and the microbes they’re trying to destroy. You’ve heard of superbugs, MRSA and the like. These predators gone wild can do a lot of damage, infecting even intravenous catheters and other hospital equipment. So … back to the germaphobes. What can you do to keep this mass of living things in your body in healthy balance? First of all, you can start shaking hands and eating raw vegetables again. Populating yourself with a large diversity of microbes actually helps you stay healthy. You’ve perhaps heard of the teachers who appear to develop immunity from all the colds the children bring into their classrooms. Maybe they’re just populating their ecosystems. Throw away the wipes and limit the use of germicidal products. Maybe you need people sneezing on you to help you stay healthy if you are already healthy and don’t already have a compromised immune system. Eat organic to avoid antibiotics in your meat and learn how to use immune boosters like medicinal mushrooms and Vitamin D3, especially when you’re healthy. I’ve personally used them for over a decade for everything from disinfecting scratches and calming food poisoning symptoms to dealing with strep throat and bronchitis. 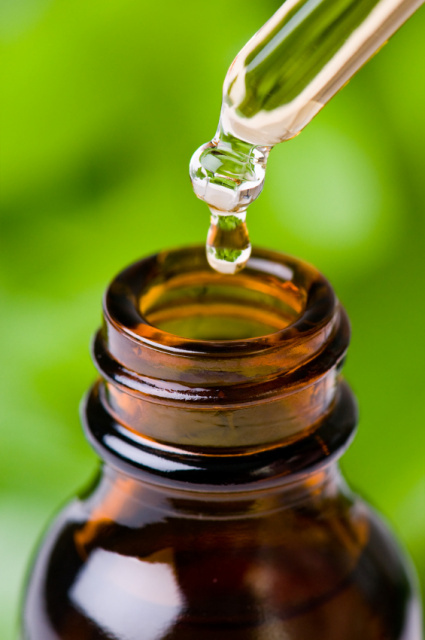 Unlike prescription antibiotics that only target bacteria, essential oils take on viruses and fungi as well as bacteria. They’re not as powerful or as many antibiotics, but that is their tremendous advantage. They preserve the natural balance in the body so at the end of a cold or bacterial infection, you’re more energized than you would be if your body’s microbial world had been assaulted by antibiotics. The National Geographic article claims that as much as forty percent of children who take broad-spectrum antibiotics react with antibiotic-related diarrhea. That is a symptom of an upset microbial ecosystem. And the article continues to tell us that antibiotics used early in life have long-lasting effects on our microbial ecosystem. Coaxing your microbial ecosystem into a healthy state is other tremendous advantage of essential oils. Unlike a pill or a shot, essential oils can be taken internally, topically, and by breathing them from a cold-air diffuser. When you learn to use them safely, according to a few simple rules found on youroilessentials.com, you can have experience profound cleansing and balancing of the body—actually restoring your microbial ecosystem for healthier immunity and more optimized health. Then there are probiotics and prebiotics. Probiotics, especially those you get from affordable and easy-to-create-at-home fermented foods like kefir, home-cultured yogurt, and fermented vegetables like home-fermented sauerkraut and kimchee are your best sources of a broad spectrum of microbial balancing. Probiotic capsules restore only a fraction of what you get from homemade foods. The capsules are measured in the millions whereas the foods are measured in the billions and even trillions of live cultures. There is a thriving online community that shares recipes and success stories. Prebiotics are the favorite foods of healthy microbes—raw fruits and vegetables with plenty of fiber. That may be one reason why a raw-food diet works for so many people. “Vegetable Fermentation Further Simplified” is a good overview of fermentation. A Google search will lead you to multiple recipes. “How to Easily and Inexpensively Ferment Your Own Vegetables” Mercola.com. December 15, 2012. This will lead you to a whole series of great, well-researched articles on the health benefits of fermented foods.